The Best Coach Award has previously gone to coaches who guided their teams to extraordinary performance — not for heroism off the field. MIAMI — The ESPYs are breaking tradition for this year's Best Coach Award, awarding it posthumously to three Florida high school coaches who died shielding their students from gunfire. Family members of Marjory Stoneman Douglas High School heroes Aaron Feis, Scott Beigel and Chris Hixon will receive the honor during the award show on July 18 in Los Angeles, the ESPN network announced Wednesday. 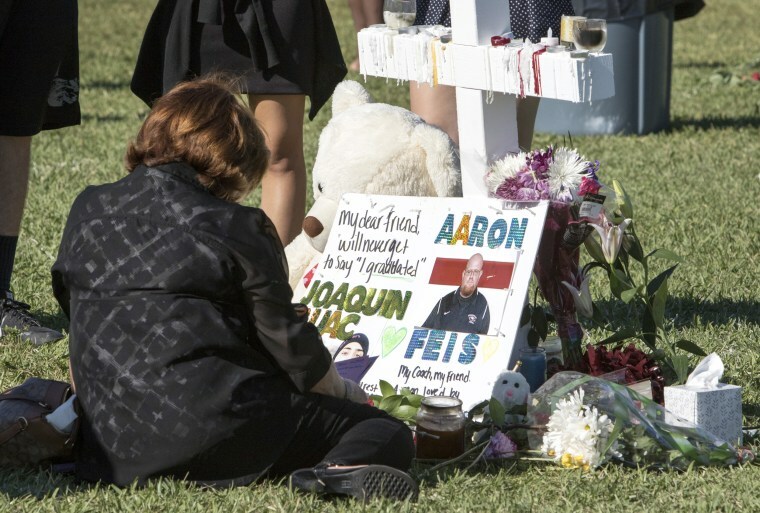 Students at the Parkland school described Feis as someone who counseled those with no father figure and took troubled kids under his wing. He was always there for the students, they said, whether it was chatting in his golf cart or helping them fix their cars. No one was surprised when they learned Feis died shielding students.